Now here's a comedy that I used to watch regularly as a child of the 70s. The Liver Birds ran for ten series (86 episodes) between April 1969 and December 1978. I was too young to remember the first few series, although I probably saw the repeat runs of some of them. The video clip features the opening titles to the show - remember that theme tune? The Liverpudlian situation comedy followed the lives of two girls who shared a flat. It dealt with the amusing problems they faced in general everyday life such as work, parenthood and romance. The first series featured Dawn (played by Pauline Collins) and Beryl (Polly James), but Dawn was replaced in series two by Sandra (Nerys Hughes), and it's the duo of Beryl Hennessey and Sandra Hutchinson that remained for the rest of the series. Sandra was the quieter one who acted in a more elegant manner, with Beryl being more coarse and certainly not as genteel. Other characters in the programme were Carol Boswell who was played by Elizabeth Estensen between 1975 and 1979. She once played Pam Middleton in Coronation Street between 1996 and 1998, but has had the role of Diane Sugden in the ITV1 soap Emmerdale since 1999. Mollie Sudgen (best remembered as Mrs Slocombe in Are You Being Served?) played Mrs Hutchinson (Sandra's Mother) between 1971 and 1979. She also appeared in the 1996 series. It was Carla Lane who wrote most of the episodes, although Myra Taylor co-wrote the first two series - she sadly died on March 22nd 2012. 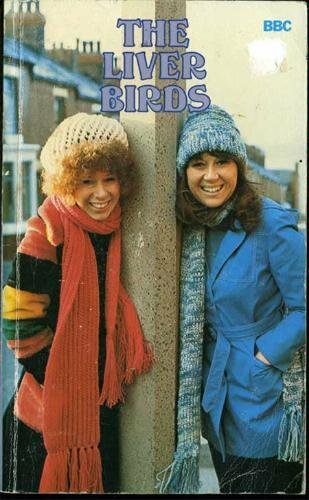 After The Liver Birds had finished, Lane went on to write Butterflies (1978-1982) and another liverpool-based comedy, Bread, between 1986 and 1991). The catchy title music was performed by The Scaffold who released many comedy records during the 60s and 70s. You may (or may not!) remember Lily The Pink which topped the UK charts for four weeks in December 1968.